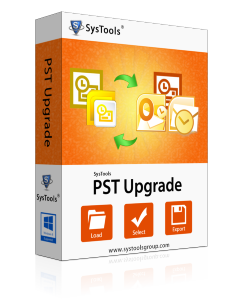 MS Outlook PST file upgradation can be done in batch using the PST Upgrade tool. This program allows you to convert PST file of MS Outlook 2000 / 2002 format into newer MS Outlook versions of PST files i.e. 2003 / 2007 / 2010 which are in UNICODE format. If you are using MS Outlook 2010 / 2007 / 2003 then the default PST file format will be UNICODE. In order to use such a PST file in older Outlook versions like: MS Outlook 2000 / 2002 you need to downgrade UNICODE PST to ANSI PST format. Both Upgrading and downgrading of PST files will create a new PST of either ANSI or UNICODE type. And these, PST files will have all the items from the source PST file namely: emails, contacts, calendars, tasks, notes, journals etc. You will not lose any data or information during this conversion. Software allows you to add multiple PST files or add folder having multiple PST files. In this way, you can export multiple Outlook PST files altogether. Also, there is a button available to directly remove any PST file from being upgraded or downgraded. Software supports ANSI as well as Unicode PST files. But if you provide a UNICODE PST while upgrading PST or an ANSI PST while downgrading PST then faulty results will be received. In both cases, due to the selection of a wrong PST software will generate an alert message reporting about the same. After converting PST, you can save the file at any desirable location on the conversion machine or an external storage device attached to it. It is also possible to create a new folder from software panel itself and save the data into it. This will help you manage upgraded PST files more easily. Trial version of PST Upgrade software upgrade or downgrade first 15 emails from each Outlook folder present in PST file. Is software compatible with Windows 8 environment? Yes, software is now compatible with Windows 10, 8 and older versions. How many PST files can I upgrade at once? You can upgrade multiple PST files in one go. You can add multiple files by Add Files option or you can also add a folder containing multiple PST files by Add Folder option. Does software require Outlook installation for proper functioning? Yes, Outlook installation is a must to use PST Upgrade. Outlook 2003 or above version should be installed and configured properly while upgrading PST from ANSI to UNICODE format. Is it possible to convert UNICODE PST to ANSI PST with this software? Yes, software has both features; ANSI to UNICODE as well as UNICODE to ANSI. Does "SysTools PST Upgrade" preserve metadata and folder structure? Yes, software preserves all the Meta data, properties and folder structure while upgrading as well as downgrading PST files. Does the software access password protected PST file? I have an old ANSI PST file which is password protected but I don't remember its password. Will PST Upgrade help me upgrade it to UNICODE format? Software prompts for password as soon as you browse a password protected PST file. If you don't have its password then you will not be able to proceed further. 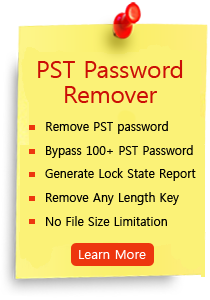 You have to remove password protection from PST File. Can I upgrade a corrupt PST to remove its corruption? My PST file is not accessible due to crossing 2GB file size limitation. Can I still upgrade it and make it accessible all over again? No, software upgrades only healthy PST files which can be accessed in Outlook properly. If your PST is corrupted or inaccessible then you can use SysTools Outlook Recovery which removes all types of corruption issues. How much time does software take to upgrade/downgrade Outlook Data file? Software will get delivered on your registered email id, within 15 minutes after placing the order.